By now you’ve met Angela and Carolyn through their literary voyages to Ireland and Sweden, so today I’m going to offer you my summer reading list. I’m Brooke, Blair’s publicity assistant, and usually the voice behind The Blair Essentials. And although I won’t be taking you to Europe today, we will be traveling beyond the world of American fiction. I’ve started off my summer reading with David Mitchell’s The Thousand Autumns of Jacob de Zoet, which was just released in the States a few weeks ago. Mitchell is an English author who spent much of his time in Japan, so most of his novels are a mix of eastern and western worlds. You’ll find more of that in Thousand Autumns, a love story from 18th century Dejima, a manmade Japanese island requisitioned by the Dutch as a trading post. The book starts off with a page of author’s notes to explain how to read it, including that dates in the book are based on the lunar calendar, and the Japanese characters’ names begin with surnames. Let me tell you, I nearly put the book down right there! Mitchell needed to offer instructions on how to read his book?! Thankfully I turned the page, and was instantly captivated. Mitchell has a way of turning prose into poetry, and in some places his plot turns into a thriller. And although the reviews say it’s no Cloud Atlas, which is widely regarded as his best book, I can’t wait to get back to this one. But I’m also a fan of the classics, which it seems are forgotten by most people after they leave school. 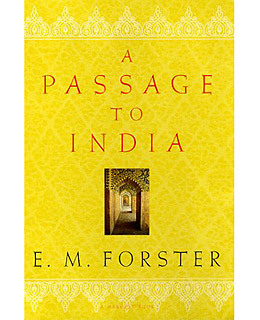 And after a trip to Florence earlier this year reunited me with E.M. Forster’s A Room With a View, I’ve decided to check out his A Passage to India next. It was selected as one of the 100 great works of English literature by the Modern Library, and Time Magazine included the novel in its “TIME 100 Best English-language Novels from 1923 to 2005”. A Passage to India is another East-meets-West book that plays out during the Indian independence movement during the 1920s. The plot focuses on the trial of an Indian man in colonial India and brings out all the racial tensions and prejudices between the locals and the colonists. And my next summer reading pick remains a mystery, even to me! I’m waiting for the longlist of this year’s Booker prize finalists to be released next Tuesday, July 27. The Booker Prize is the award for contemporary British fiction, so when they release the list of contenders, it’s like a book nerd’s Christmas. They’ll release the shortlist in September and the winner in October, so sign up for email updates if you want to stay on top of who’s in the running. Like the Tour de France, but closer to home. In the midst of the Tour de France, we asked Blair author Tim Murphy to share his expertise on what makes bike racers tick. Tim is the author of Road Cycling the Blue Ridge High Country and a cyclist himself, so he knows all about this topic. Enjoy! The world’s best bike racers are at it again this month in the 97th Tour de France. The Tour stretches over 23 days and 2,258 miles, but much of the racing is moot, a collection of sprint finishes where the race’s overall contenders finish last. The toughest riders typically don’t emerge until the race heads for the hills. The wicked walls of the Pyrenees in the third week of the race should tell us who will be at the top of the podium July 25 on the Champs Elysee. Mountains mean misery for bike racers. Steep grades shatter the pack. Some racers fall so far behind they’re forced to drop out of the race. For those with the stamina to stay at the front, the physical and psychological tension is intense. Riders reach their physiological limits in an effort to stay at the front, knowing that just one unanswered surge by a rival could rewrite the script of the entire race. Knowing how the mountains mangle top pros, why do so many weekend warriors love them so? Here in the southeastern United States, Blue Ridge road cycling events are shattering attendance records. Last month’s Blood, Sweat and Gears ride in Boone, N.C., was a sell-out despite a truly sadistic 102-mile route with more than 13,000 feet of climbing. Blood, Sweat and Gears; Hurt, Pain and Agony; Blue Ridge Brutal: just reading the names of these events is enough to make you reach for the ibuprofen. So why do thousands of seemingly sane people willingly seek out such suffering? Take a ride with me. Huffing my way to the top of a major climb isn’t pleasurable, but it’s strangely satisfying. As the climb wears on, life seems to simplify. Breathe deep and pedal, breathe deep and pedal; it’s all I can do as the road soars upward. My usually overactive brain settles. At some point in the climb, the road will switch back. I can look down the mountain and see where I started. I experience a flash of transcendence, like a hawk soaring high. As the climb wears on, the top will tantalize. Is that it through the trees? “False flats” will frustrate. How is it I’m still struggling to turn the crank when the road seems to be flattening out? I fight my own impatience. Finally, the top. Victory! Now the thrill ride is about to begin. I move the bike through its gears, crouch down, and whip down the curves back into the valley. The air turns chilly as the bike speeds down, down, down. Life becomes simple again. Look at the road, follow the line. Block out the views, the hazards, just look where you want the bike to go and watch it follow. Swoop into the apex of the turn and out again. Repeat until the serpentine road unkinks and the swelter of the valley returns. Tim Murphy has pedaled the peaks of the Blue Ridge since 1981. He has organized charity rides, supported greenway development, and served as promotions coordinator for the Brushy Mountain Cyclists Club. He is the author of Road Cycling the Blue Ridge High Country. So You Think You Know Gettysburg? Answers revealed. Remember last week’s Gettysburg quiz? Well the results are in, and the prize goes to Cindy in Harrisburg, Penn. Thanks to everyone who participated! And if you didn’t know the answers to our quiz before, here they are. You can find more details (and oh so much more) on the pages of So You Think You Know Gettysburg? indicated below. 1. Why do two monuments at different locations mark the first shot fired at the Battle of Gettysburg? General John Buford’s monument displays the gun that supposedly fired the opening artillery round that may have started the battle. But another marker, known as the “First Shot Monument,” shows where Lieutenant Marcellus E. Jones fired his first shot earlier that morning. It is not an official monument—Jones purchased the land and erected the marker himself. Which marker is correct? Find out on pages 3–4. 2. Who is Penelope, and why is she buried in a sidewalk in town? Penelope, a cannon, was a relic from the War 1812. The publisher of the local newspaper fired her after every Democratic election victory. But in 1855, her overloaded barrel exploded after a night of heavy celebration, and she was buried in front of the newspaper office. Find out more on page 34. 3. Why is Amos Humiston the only enlisted man to have his own monument? When doctors found the body of Humiston, he carried no identification, only a photo of his three children. Dr. John Bourns told the Philadelphia Inquirer about the photo, and it ran the story. A reader, Phylinda Humiston, recognized the children as her own Frank, Alice, and Freddie. After Phylinda identified her husband, Dr. Bourns raised funds to build an orphanage for children of deceased soldiers. Phylinda ran the facility. Find out what happened to Frank, Alice, and Freddie on page 30. Check out So You Think You Know Gettysburg? by James and Suzanne Gindlesperger for more Gettysburg trivia. Jones purchased the land and erected the marker himself. Which marker is correct? Find out on pages 3–4. It’s days like this that remind me why we at Blair do what we do. We specialize in books on the southeastern United States. That might seem a bit narrow, but we do it because we feel there’s a voice to be heard from this region. We want to give those voices a chance to find their place and change a little bit of the world. Which is why we knew we had to publish Kathleen Koch’s Rising from Katrina: How My Mississippi Hometown Lost It All and Found What Mattered. Her book is the story of loss, hope, and rebuilding of the Gulf Coast after Hurricane Katrina hit five years ago, and through it she also shares her personal story of recovery. The book will officially hit store shelves on August 1, although it’s already available at some bookstores and online. Some have asked if the response would have been as bungled if oil gushed into the waters off New York City. A fisherman’s wife in Louisiana with a front-row seat on BP’s response fumes at the company’s talk of a need to cut cleanup expenses, and the “dog and balloon” shows BP says it puts on for visiting politicians. The politicians come, shake hands and leave — at which point the cleanup workers and rows of skimmer boats disappear. I have heard from Gulf Coast residents trained and ready to work on cleaning everything from beaches to oil-covered birds who say they have found their skills either ignored or wasted. Hurricane Katrina was like an amputation — a swift, crippling, traumatic blow. But afterward it was clear what was lost and what had to be done to recover. The oil spill is like a slow-moving plague. Residents don’t know where it’s going, how long it will last, who it will infect next, whether its effects will be fatal or survivable. The resulting sense of helplessness and dread is devastating. Read the rest of what Kathleen has to say on the subject over at CNN.com. We promise you; it’s worth the read. To help us celebrate the Fourth of July on the Blair Essentials, we asked Ed Southern, editor of Voices of the American Revolution in the Carolinas, to share his take on the holiday. And although this post may be a little late, we hope you enjoy it just the same! When the good folks at Blair asked me to write this guest post in honor of Fourth of July, I figured I’d write the usual finger-wagging screed lecturing Americans on not knowing enough about the American Revolution and the founding generation. This Fourth of July, though, I’m relieved to see I don’t have to. The ad wizards on Madison Avenue have stepped into the breach, using their marketing genius to illuminate the lives and characters of the Founders, using the totems we in the 21st century know to be the most telling and significant signs of who a person truly is: the products they buy. The nice thing about seeing the Founding Dudes pimping products on TV is that they wouldn’t be used in any kind of advertising if there weren’t some kind of interest in them. Ad agencies would never choose a theme without making sure it would have some kind of resonance with the citizen-consumers of the U.S.
Are we seeing a resurgence of interest in the Revolutionary War and the Founders? It’s needed, especially in the Carolinas, where not nearly enough people know what a crucial role our states played in the War for Independence. This weekend we celebrate what happened in Philadelphia, 1776, in the way John Adams decreed: with fireworks, bonfires, Bud Light, and Kraft Mac and Cheese. As well we should. But I’m going to think, too, about what happened right here in 1780-1781: Kings Mountain, the “Hornet’s Nest,” Cowpens, the Race to the Dan, Guilford Courthouse. I’m going to think about those who made that “history of miracles” happen: William Richardson Davie, Isaac Shelby, John Sevier, Daniel Morgan, Nathanael Greene. (Especially ol’ Natty Greene.) Without them, July 4 would be just another day on the calendar, and those we think of as the Founders would be thought of as traitors. And when did you last see Benedict Arnold on TV? Ed Southern has published four books: The Jamestown Adventure, Parious Angels, Sports in the Carolinas, and Voices of the American Revolution in the Carolinas. He presently serves as the executive director of the North Carolina Writers Network.